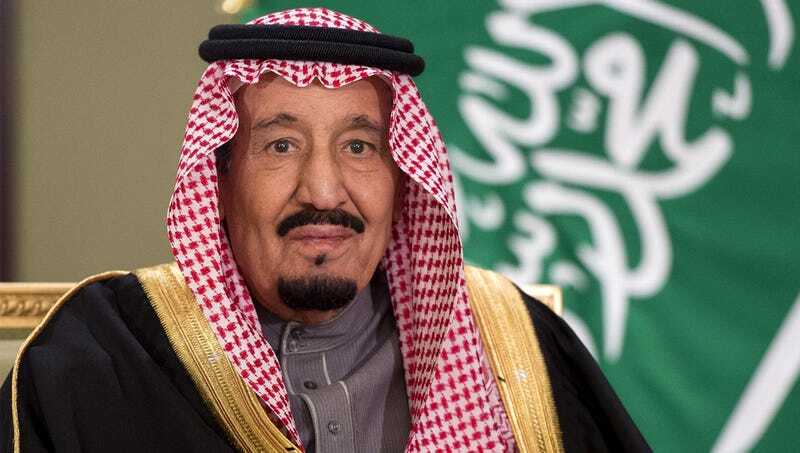 RIYADH, SAUDI ARABIA—In an effort to emulate the recent success of North Korea, the Kingdom of Saudi Arabia announced Tuesday plans to escalate human rights abuses to curry more favor with the United States. “We really need to take bold steps to double the number of unlawful airstrikes on Yemeni civilians while domestically tripling the amount of arbitrary arrests of peaceful dissidents who criticize our regime if we hope to continue winning over Americans,” said King Salman, who was optimistic that rapidly increasing the rate and severity with which the country tortures activists to coerce confessions would be enough to stay in President Trump’s good graces. “U.S. leaders will obviously be thrilled to learn that Saudi Arabia is absolutely committed to abusing and exploiting our migrant workers, and we are also ramping up efforts to crack down on every religious minority and woman.” At press time, the Saudis were convinced that plans to expand the scope and efficiency of the country’s human trafficking networks would strengthen its relationship with the United States.